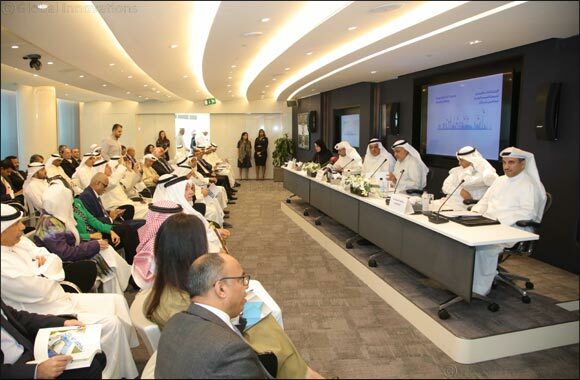 Kuwait – March 30, 2019: Burgan Bank held its Ordinary Annual General Assembly meeting and Al Shafafiyah Investors’ forum yesterday at the KIPCO Tower. The Board of Directors presented the bank’s Full Year 2018 Financial Results to its shareholders, highlighting the solid performance delivered by the bank. The shareholders approved the payment of recommended Cash Dividend of 12 fils per share and the distribution of 5% Bonus Shares. Afterwards, the bank held its Annual Shafafiyah Forum to present the Full Year 2018 Performance Highlights to its shareholders. The presentation was led by Mr. Raed Al Haqhaq (Chief Executive Officer-Kuwait and Acting Group CEO, Burgan Bank). Mr Al Haqhaq credited the record Full Year 2018 results to the bank’s focus on generating high quality revenues, improving operating efficiencies, maintaining prudent risk approach, and delivering superior shareholders’ returns. This allowed the bank to achieve strong set of results, where Revenue grew by 10.8% Y-o-Y to reach KD 265.3 mn, Operating Profit before provisions grew by 17.9% Y-o-Y to reach KD 153.5 mn, and Net Income grew by 26.6% to reach KD 82.6 mn. Mr Al Haqhaq stated that the strong FY’18 performance is also reflected in the continued improvement of its core business metrics; where Net Interest Margin (NIM) increased from 2.6% (FY’17) to 2.9% (FY’18), Cost-to-Income Ratio (CIR) improved from 45.6% (FY‘17) to 42.1% (FY’18), and improved Capital levels were Capital Ratios (CAR) increased from 16.2% (FY’17) to 17.4% (FY’18). As a result, the bank was able to generate favorable outcome for its shareholders as Return on Equity (RoE) improved from 8.3% (FY’17) to 10.7% (FY’18), Earnings per Share (EPS) grew from 24.2 fils (FY’17) to 31 fils (FY’18), and Cash Dividend per Share increased from 7 fils (FY’17) to 12 fils (FY’18). Mr Al Haqhaq concluded that the bank is on the right trajectory and will continue to pursue its successful strategy of cautious growth and strong risk management in 2019.